Britain has just voted to leave the European Union, Trump is in the White House and Katie Hopkins remains at large despite numerous crimes against humanity. For many of us these are worrying times, but for Ahmed Armstrong, Pak Nation TV’s leading roving reporter, award winning gentleman documentarian and founder of the BAPS (British And Proud Society) things literally couldn’t be better. 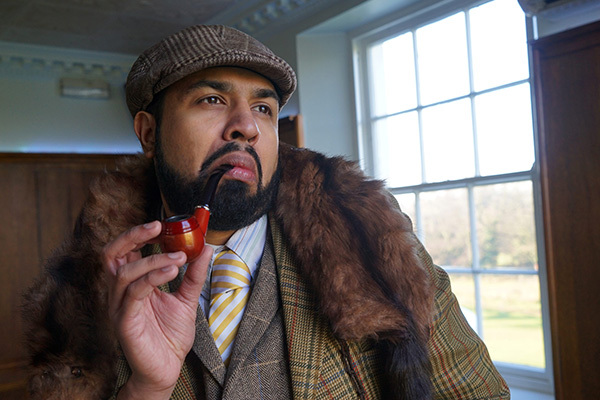 In this scripted comedy series of Coconut we follow Ahmed as he tries to establish himself as the countries leading avant-garde film maker and authority on everything British whilst building his own personal brand alongside partner and staunchest supporter Camilla (Krupa Pattani). His aims to be the best in his field not only involve excelling in his own reporting, but also gunning for the other BAME reporters he feels are in the way of his ascent such as young upstart Tommy Khan (Peter Singh) who offers a younger perhaps more current voice to the British Asian experience. Ahmed must prove that he can cut the mustard amongst Pak Nations young talent as owner Saira (Nina Wadia) seeks to freshen up the roster and cater to a westernised, millennial audience with the channels 10th anniversary looming.